We’ve become accustomed to Google adding features and interface tweaks to constantly improve the Photos app, but over the weekend it might have seemed like one of the most-used features was being changed for the worse. But rest assured, it’s just a bug and Google is already working on squashing it. 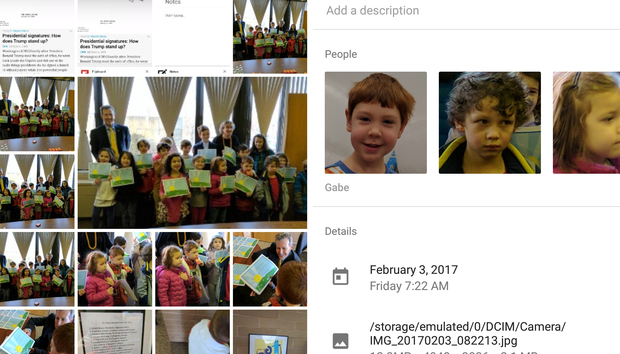 Over on the Google Photos support forum, numerous users have noted that their People albums aren’t quite as populated as they once were. According to the posters, the problem wasn’t affecting the actual photos themselves, but rather how the algorithm sorted them. When they went into the automatically generated People folder to find collected pictures of their friends and kids, either new photos weren’t added into their existing album or they were sorted into a completely new one. And in some case, albums that were there disappeared. The problem seems to affect all instances of Google Photos, across iOS and Android apps, and the web. At first Google moderators suggested checking the Face grouping toggle in settings, but an employee quickly chimed in to set the record straight. According to Ben, a Google Photos community manager, Google is “aware of this and our team is looking into it.” He promised to post more information in the various affected threads when it's been fixed. The problem seems to be fairly limited in scope, but if you’re one of the affected users, stay tuned to the Google Photos forum for updates. The big picture: Bugs and issues are a fact of life of apps, especially when you’re dealing with millions of users and countless files, but this is a fairly benign one. Thankfully, no photos seem to have been damaged or wiped out due to the issue, and it's mainly a matter of convenience. Still, though, Google is handling it the right way by admitting there is a problem and promising a hopefully speedy fix.